Anthony J. Impastato practices in various areas of both trial and appellate levels, including motor vehicle litigation, flood and homeowner’s insurance coverage disputes, maritime litigation, slip/trip and fall litigation, worker’s compensation and premises liability. 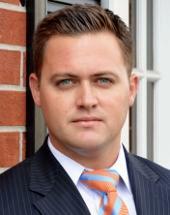 Mr. Impastato has litigated numerous cases since the date of his bar admission in various courts throughout Louisiana. Recently, Mr. Impastato has successfully tried a Hurricane Isaac homeowner’s insurance property damage dispute in federal court wherein the jury award included penalties and attorneys’ fees. Mr. Impastato has also successfully tried a slip and fall jury trial in north Louisiana. Mr. Impastato graduated from Loyola University College of Law in 2012. While at Loyola Law School, he served as Vice President of Loyola's Trial Advocacy Program. Mr. Impastato was also a member of three (3) Trial Advocacy Teams, two of which were National Competition Teams, and received the honor of “Best Overall Advocate” within the Trial Advocacy Program. Prior to Law School, he received his bachelor’s degree from Louisiana State University, where he was a member of Acacia Fraternity. Mr. Impastato is a member of the St. Thomas Moore Inn of Court, Louisiana Bar Association, Louisiana Trial Lawyer's Association, Association of New Orleans Trial Lawyers, Louisiana Association for Justice, and the New Orleans Bar Association.